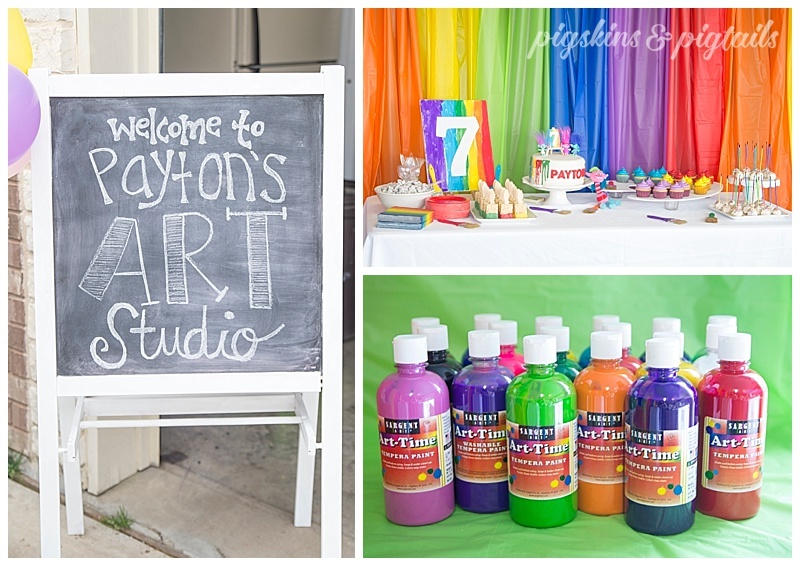 This year Payton wanted a Trolls party for her seventh birthday. She is crazy about the new Trolls movie and the main character, Poppy, is her to a T. She is a no-personal-space, hugging, happy kid! 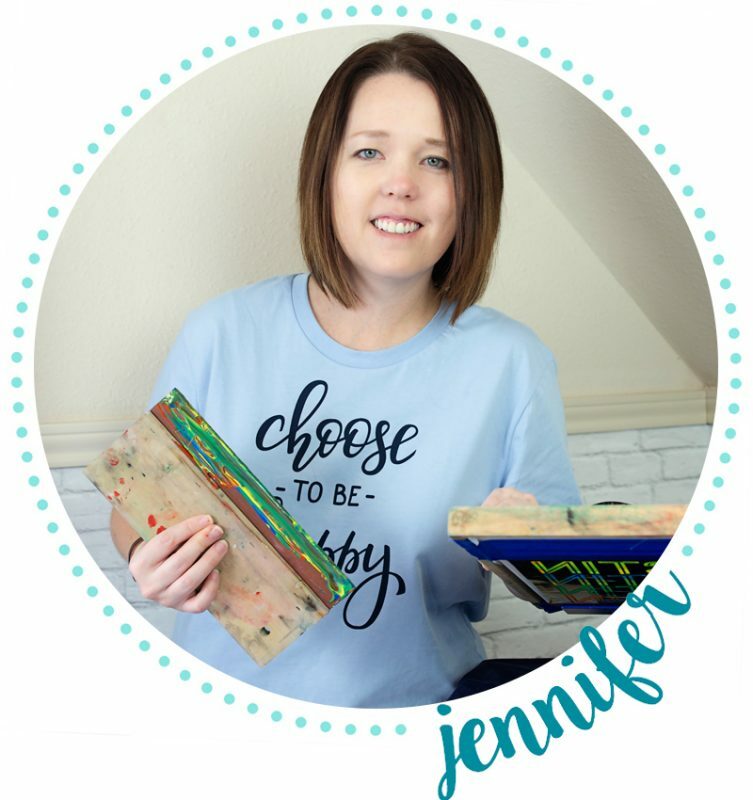 Combining her love for everything artistic and messy, a painting party seemed to be the perfect fit. 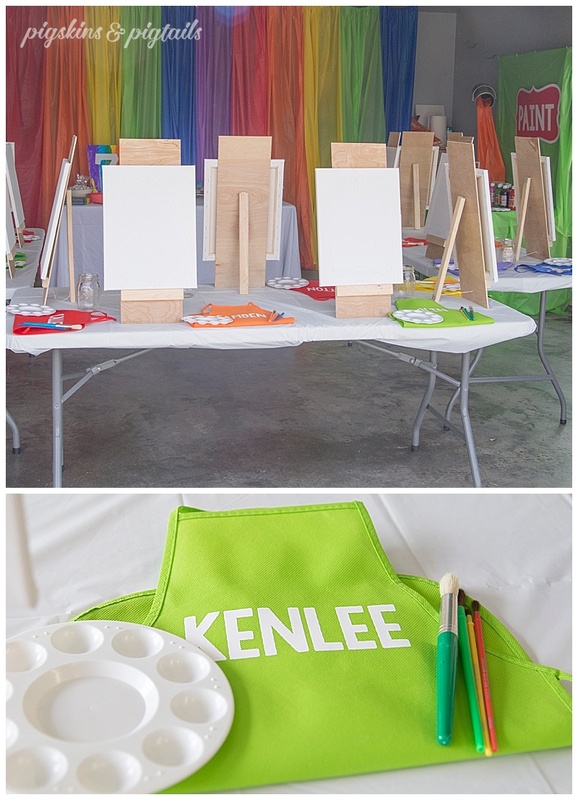 I had a great time hosting a colorful DIY painting party in our garage. 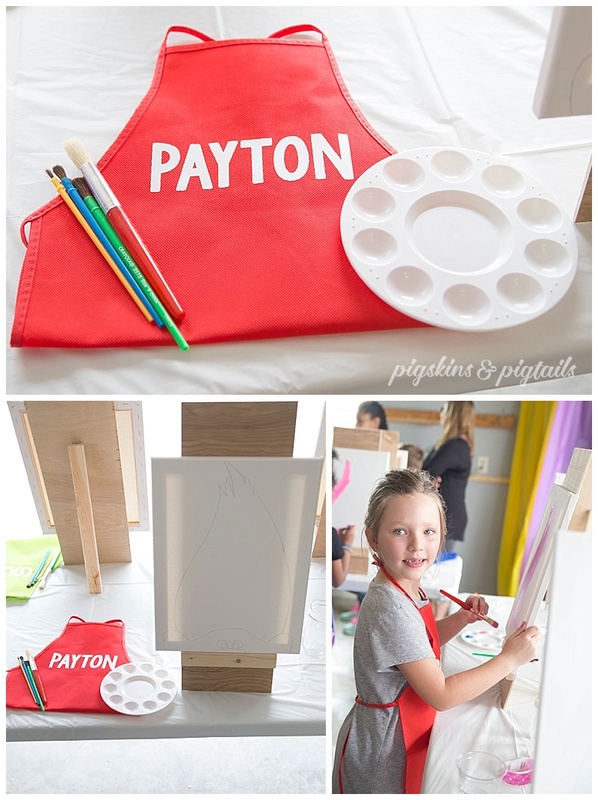 Here are some details to inspire your next painting party…..
Each artist had a spot with a personalized apron, paint tray, brushes and canvas. Each canvas was outlined with the Troll head, but we encouraged everyone to get creative with their Troll design. To help get their creative juices flowing, we provided a few sample pictures. 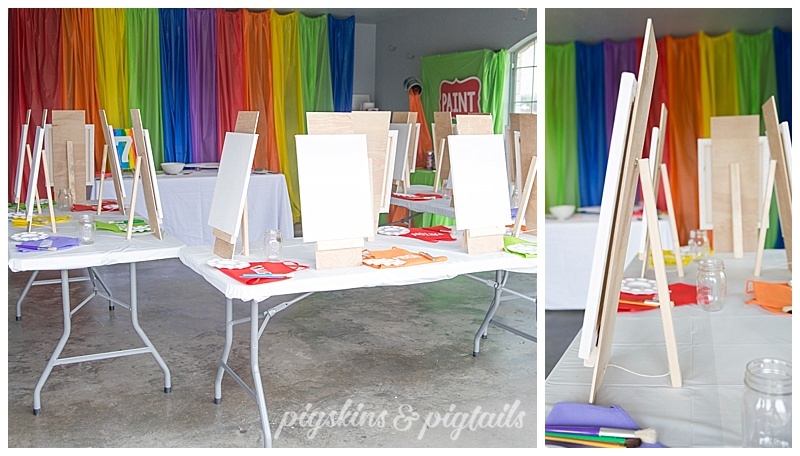 I made easels for each painter from plywood and small hinges. 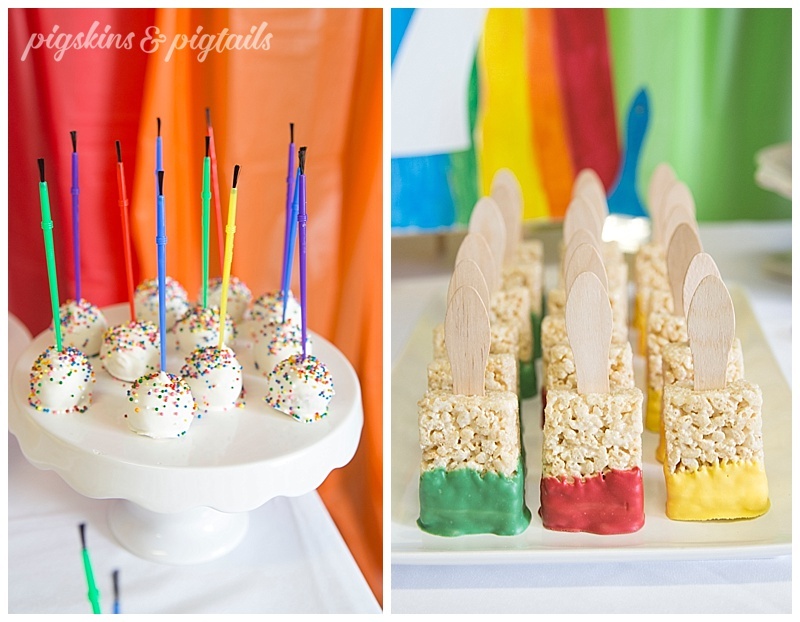 Snacks included cake pops with paintbrush handles and paint brush Rice Crispy Treats. 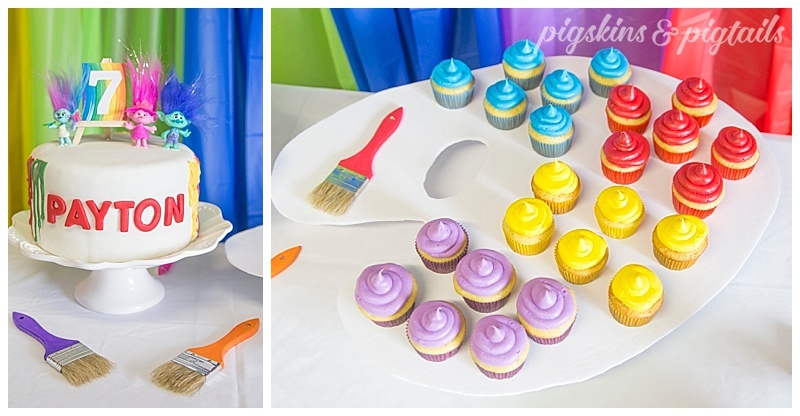 The cake included a few of her favorite Troll characters. 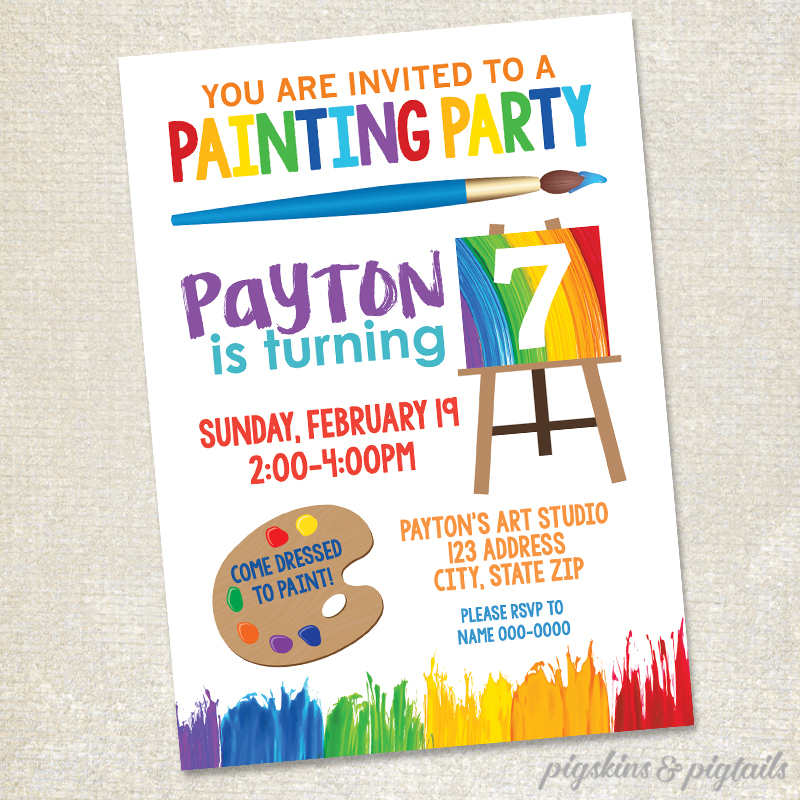 I dripped colored chocolate down the sides of the cake and added her name. We also had cupcakes displayed on a pallet. The pallet was cut out of foam board and elevated with mason jars. 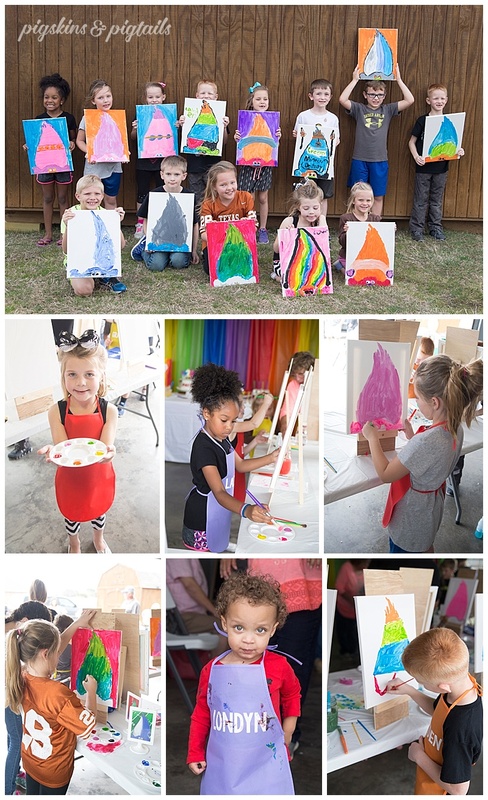 We are so thankful to all of her sweet friends that joined in the painting fun! 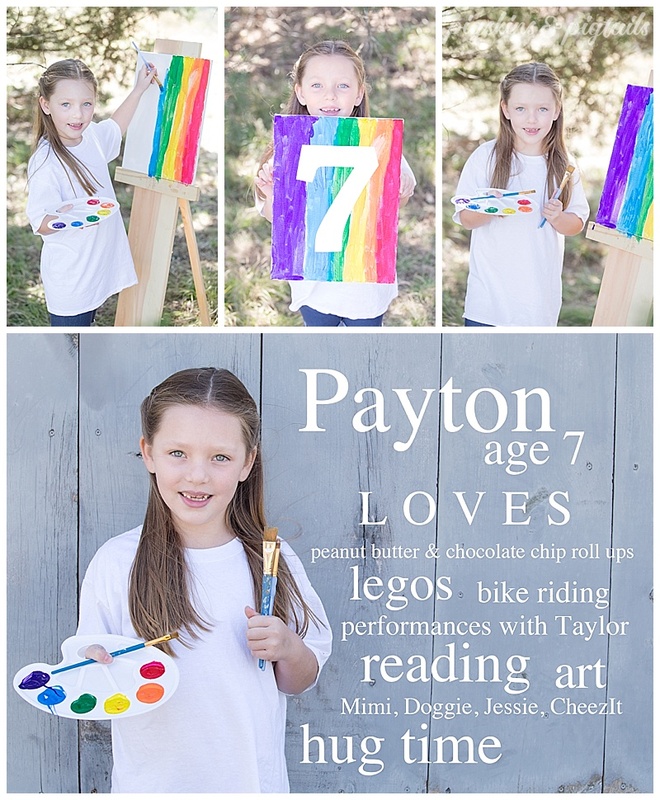 I create one of these 5×7 memories for the girls at each birthday. It’s fun to look back at their favorite things and compare year-to-year. 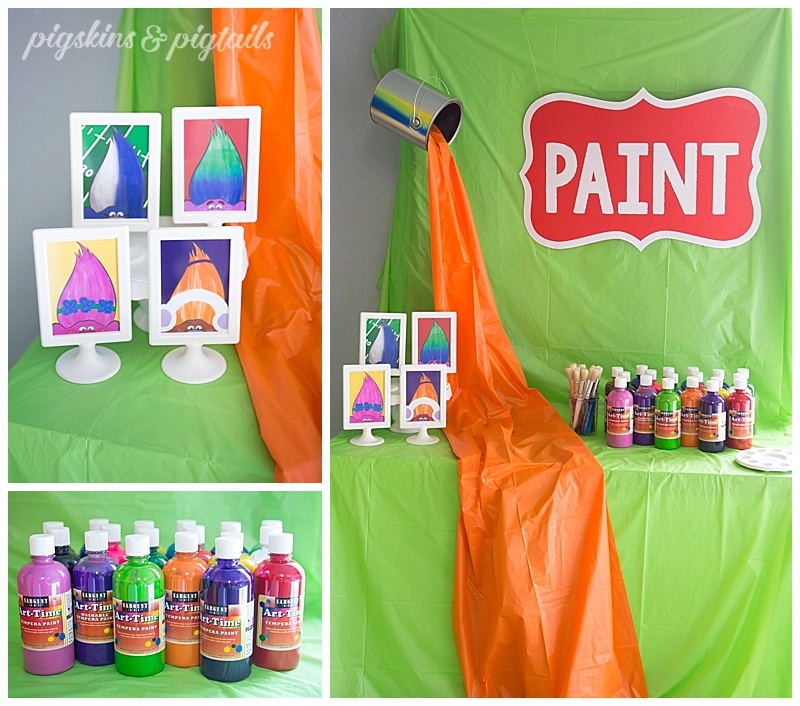 Hi what did you use to make the paint pallet for the cupcakes? I cut it out of a piece of white foam board.